← Maryland Uniforms: Best to Ever Grace a College Football Field? CNN – Wildlife authorities in the Philippines say they have captured a 21-foot-long, 2,370-pound saltwater crocodile, thought to be the largest creature of its kind now in captivity. 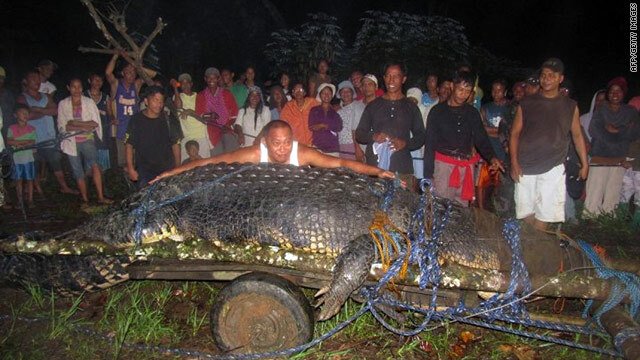 The croc was captured in Agusan del Sur marsh on the southern Philippine island of Mindinao, according to a report on GMA News. Hunters had been trying to capture it for 21 days, the report said. It was finally captured on Saturday by a team of about 30 men who used meat to bait it and an eight millimeter metal cable to snare it, according to an Agence-France Presse report on ABS.CBN News. 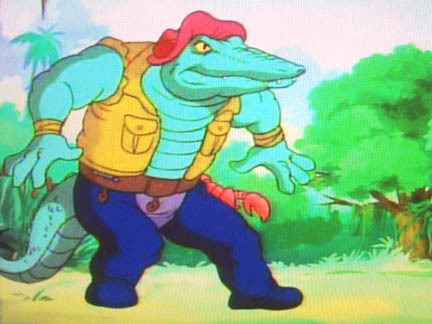 Edwin Cox Elorde, mayor of the remote town of Bunawan near where the croc was caught, said the reptile will become the star of a nature park there, according to the AFP report. The previous largest crocodile in captivity is an 18-footer in Australia, according to Guinness World Records. Crocodiles are suspected in the deaths of a local fisherman earlier this year and a girl a few years ago, according to the news reports, but authorities could not say whether the monster caught Saturday was responsible. 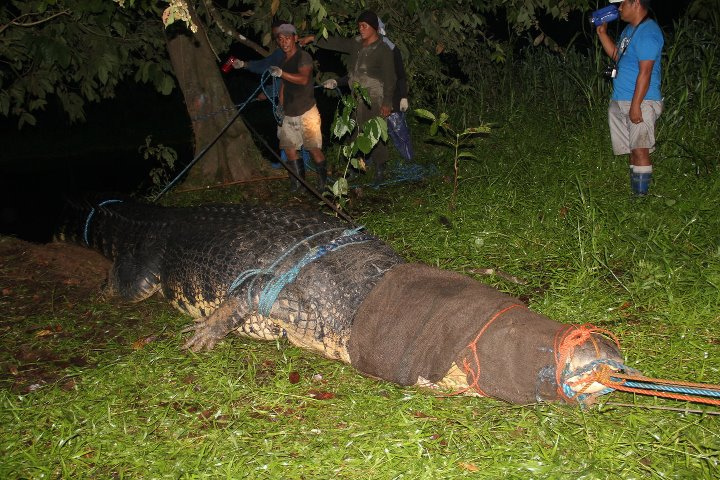 Cox Elorde said hunters would look for more massive reptiles in the marsh, according to the reports. Ho. Lee. Crap! Look at that sucker! That’s just amazing. Here’s a video of the villagers moving this beast around. 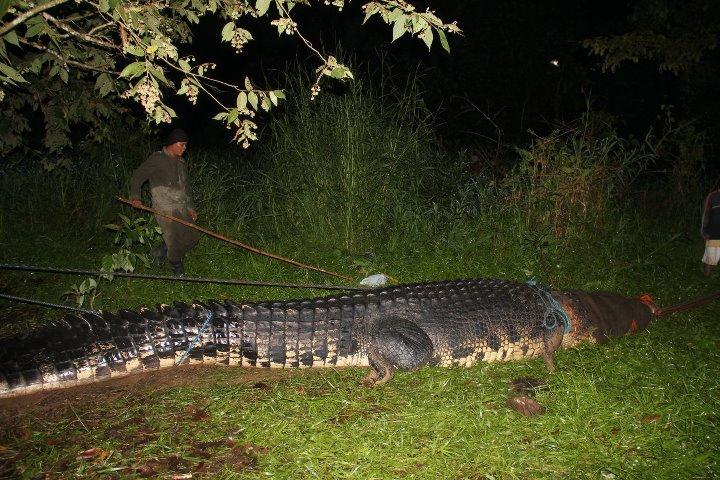 Apparently it took over 100 villagers to pull the 21 foot croc out of the water. Unreal. Also, take note that they “captured” this croc… it’s still alive. Supposedly, they are going to turn it into a tourist attraction. Let me be the first to go on record saying, “AS LONG AS THIS CROCODILE IS ALIVE, IT WILL EAT MORE PEOPLE.” There, I said it. Guaranteed this thing has had humans for lunch before… and it will again. So stupid. So awesome. 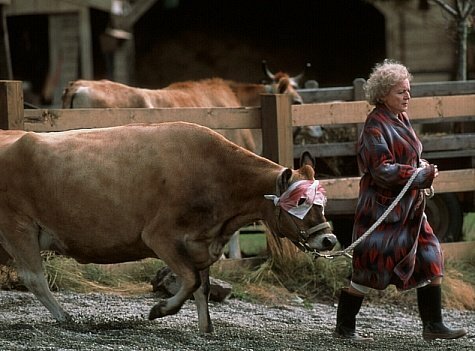 The second image that came to mind? If you’re wondering how a crocodile or an alligator can grow to 21 feet long and weigh over 2,300 pounds….you’ve never seen the American Film Classic, Lake Placid. 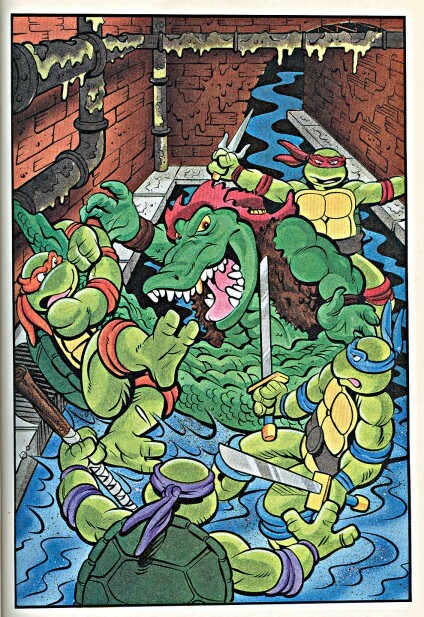 This entry was posted in Events, News and tagged 21 foot alligator, 21 foot CROCODILE, CROCODILE, giant alligator, giant CROCODILE, lake placid, Leatherhead, Philippines, Philippines Crocodile, Teenage Mutant Ninja Turtles. Bookmark the permalink.